Digitisation is transforming our world and it is the communities of curious, creative people – like those who gather in makerspaces – who are best-placed to thrive after the dust settles. My friends at the youth-led Create conference generously invited me to speak to their audience of a couple of hundred 16-18 year-olds last week. The offer triggered an instant drain on my free time as I tried to find some coherence in my thoughts on the Maker Movement. If wanted to use this speaking slot as an Archimedes lever to dislodge the attendees from any traditional career plans and catapult them into the chaotic, creative world of exploring, tinkering and production that we love so much in communities like Farset Labs. But I would have settled for just sharing one big idea about the world that got them thinking in a new way. Fortunately, there is a big idea around at the moment that provides a context for the emergence of our new maker culture. And by big, I mean really, very, exceptionally big. Like world-changing, epoch-defining big. Simply put, the idea is that we are in the midst of a global revolution that is taking us into a new socioeconomic era, and we have the opportunity to hack our way to a happy future. Of course, we can’t know right now what this period will be called in future. Just as it might have sounded weird in 1850 to ask a friend, “how’s the Industrial Revolution going for you?” We can’t see it clearly from the inside. Leave it to historians to define past generations. 5-7M yrs ago – our ancestral apes began to move out of the trees and into the African plains. 2-3M yrs ago – we see the first signs of basic tools being made. ~70,000 yrs ago – humans start to show evidence of specialisation in their hunter-gatherer practices. ~18,000 yrs ago – specialisation develops into the cultivation of crops and domestication of animals, launching the Agricultural Revolution (aka Neolithic Revolution). This gives birth to great phenomena such as large settlements, division of labour, hierarchical societies and religions, trading economies, and armies. Late 18th Century – powered by inventions like the spinning jenny and steam engine, the Industrial Revolution kicks off. People go to work in factories, from which emerge modern, hierarchical companies with new concepts like management. The human lifespan doubles and a new middle class emerges. We enter the Industrial Era and again the world changes forever. 1950s–now – computers and the internet underpin the Digital Revolution, as the world goes from atoms to bits. We are now in the Information Era, characterised by the democratisation of communication, connection and knowledge resources. 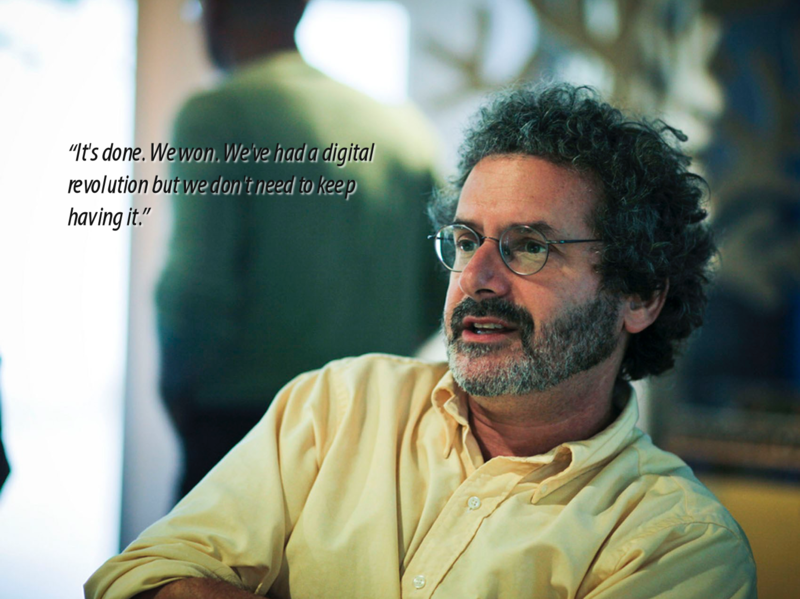 A quote from Neil Gershenfeld, Director, The Center for Bits and Atoms at MIT and founder of Fab Labs. The latest revolution, if we just assume that’s what we can call it, is essentially a combination of its Industrial and Digital ancestors. We went from atoms to bits, now we’re swinging back, as the atoms themselves become the new bits. In other words, where the digital world brought the costs of publishing, communication and learning down to the level of discretionary income, the same thing is now happening with the tools of production. Think of the costs (of all sorts: money, time, expertise, etc.) required to go from having an idea, to selling a product in a global market, just 15 years ago. Even if you could have designed the product yourself, you might have needed to pay a hefty fee for the software to do so. Making a first prototype would typically have cost tens or hundreds of thousands of pounds, which you would probably have needed to source from banks or other traditional investors. And all that, before you have even tried to take your product into the market. Design prototype with free software, like Google’s SketchUp. Build prototype in a makerspace, or send the design to a single-run manufacturing service, such as Shapeways or Ponoko (for pocket-money prices). Go to a crowdfunding platform (eg. Kickstarter) for early production and development costs. Use an online service like Alibaba to connect with a manufacturer in the Far East, firing-up their facilities and running-out the first few 1,000. Bring the product back to home soil, collaborating with high quality local manufacturers, to customise and produce the next few 10s of 1,000s. Maybe head back out to Asia now, for mass-production in the 100,000s and beyond. Retire or go back to 1. 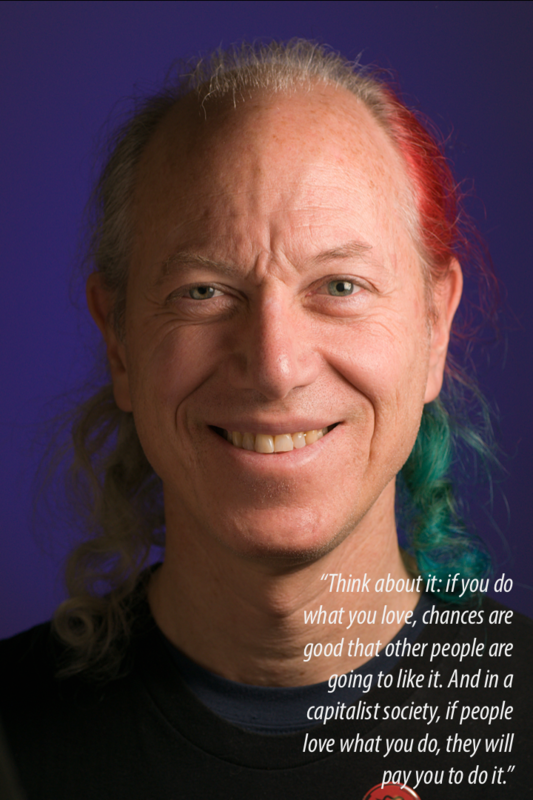 Mitch Altman, a hacker hero and no obvious capitalist, connects the joy of creative expression with the opportunities it can offer us. If the Digital Revolution democratised connection, now affordable tools are democratising manufacturing too. The machinery available, of which the poster children have been 3D printers, laser cutters and CNC machines, allow us to operate from the nanoscale up to the size of buildings. Now almost anything that can be imagined can be built by ordinary people. This is a first for our species and planet, there is no precedent or rulebook to employ here. The rising popularity of hacking and making may be a response to this new environment and is certainly an avenue to benefitting from the opportunities it presents. That is not to say we should all focus on saleable products, it is just as much about play, artistry and education. Communities are forming all over the world, united by the childlike joy that is felt when we are able to explore our curiosity and make things – to express ourselves in creative ways. We are grouping together, sharing ideas and seeking places in which we can interact and collaborate. Makerspaces and hackerspaces are nodes in this rapidly growing global network. Three years ago, before our members assembled and launched Farset Labs out of their own pockets, it felt like Northern Ireland was missing the revolution. It felt like Farset needed to exist. At time of writing, Hackerspaces.org lists nearly 2,000 locations worldwide. And those are just the ones who self-identify with the “hacker” label and have been added to the list. 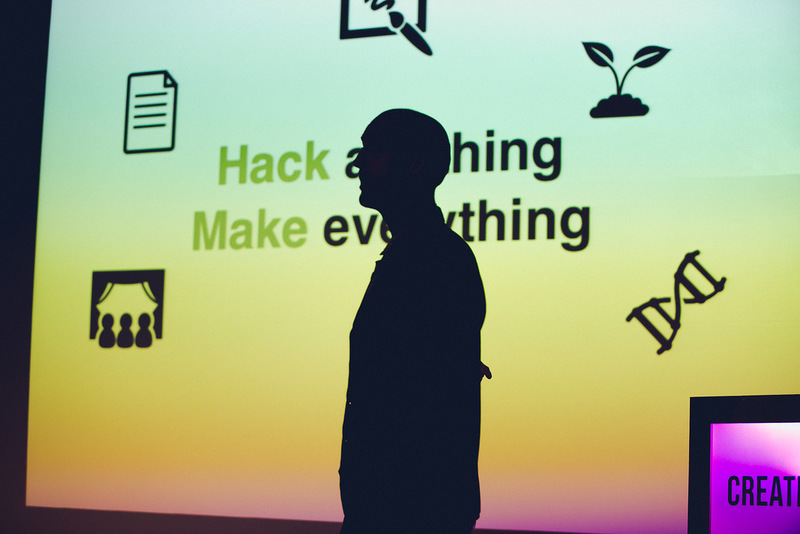 We can assume there are many more venues and groups that exist under the broad definition of hackerspace, makerspace, hackspace and so on – and let’s not get into the name issue here. So the Maker Movement seems to be a response to, or a result of, the shift from one socioeconomic epoch to another. An obvious analogy to this concept is the response of species to changing environments. When an asteroid smashed into Earth 65M years ago, triggering a global extinction event that ended the reign of the dinosaurs, it was our small, furry ancestors who seized control of the food chain. They were better suited to survive in the new climate that suddenly engulfed them. Evolutionary analogies are popular in this context. In what can be called Digital Darwinism, organisations are seeking strategies for becoming more adaptable as their world changes, and does so at an accelerating pace. A statistic that possibly highlights this process is the falling lifespan of companies. A popular study by Richard Foster, of Yale University and Innosight, showed that companies on the S&P 500 Index had an average lifespan of 61 years back in 1958, which came down to 25 years by 1980, and 18 years by the time of the study, in 2012. He and his associates put this down to what economists call creative destruction. Which species will survive and thrive in a future where digital manufacturing – and who knows what next – is placed in the hands of the masses? “Survival of the fittest” is the catchphrase of Darwinian evolution, but it’s a bit of a curse on Darwin’s actual theory. The idea of “fitness” can be mistaken for something like strength, speed and agility, when it’s supposed to mean “better designed for an immediate, local environment”3. Better suited to the post-revolutionary world is somebody who can not only change her behaviours to meet the challenges of the new environment and exploit its opportunities, but can also make change itself one of her capabilities. We don’t know when the next revolution will occur or what it might involve. But take another look at the timeline above – it’s striking how the periods between each revolutionary event shrink exponentially as history plays out. Likewise, the time taken for each change to run its course is much shorter each time. If change itself is a shifting problem, we should make adaptation part of our fitness regime. Innovative adaptability in a world of accelerating change requires a curious mind and a creative spirit. Those who make and share things become learners and teachers simply by their actions, and they do so more effectively when they are together, in communities like ours. Their passion for new and interesting things could be their greatest strength. In other words, the geeks shall inherit the Earth. My closing slide at Create 2015. 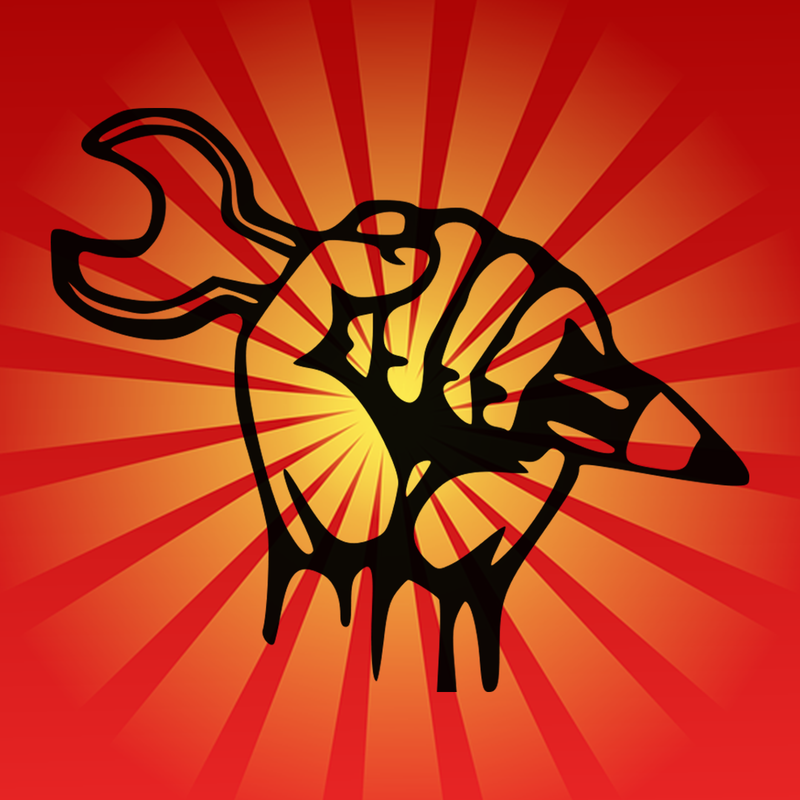 If we have the tools to hack anything in the world around us, we can make anything we want. From introduction to The Global Startup Ecosystem Report. From The Maker Movement Manifesto, by Mark Hatch, CEO, TechShop. From Survival of the Fittest Wikipedia article.